Konecranes Gottwald Mobile Harbor Cranes provide versatile and economical handling of all kinds of cargo, serving vessels of all types and sizes in every type of terminal. Konecranes Gottwald Model 2 Mobile Harbor Cranes are extremely compact, electrically driven universal cranes for smaller maritime and river terminals. Konecranes Gottwald Model 3 Mobile Harbor Cranes are compact, electrically driven 2-rope cranes for moderate to medium duty handling requirements. Konecranes Gottwald Model 4 Mobile Harbor Cranes are compact, electrically driven universal cranes. Konecranes Gottwald Model 5 Mobile Harbor Cranes are very powerful, electrically driven two-rope cranes, the largest in our medium-sized mobile harbor crane family. Konecranes Gottwald Model 6 Mobile Harbor Cranes are extremely robust, electrically driven cranes for high-performance applications. Konecranes Gottwald Model 7 Mobile Harbor Cranes are robust electrically driven cranes for high-performance applications. Konecranes Gottwald Model 8 Mobile Harbor Cranes are extremely robust electrically driven cranes for very high-performance applications. The Konecranes Gottwald Quaymate M50 Mobile Harbor Crane is an entry model for small maritime and river ports that are professionalizing their cargo handling. Konecranes Gottwald Portal Harbor Cranes represent a cost-effective and fast alternative to cranes built for a specific application only. Konecranes Gottwald Floating Cranes combine proven mobile harbor crane technology from the slew ring upwards with floating barges. The Konecranes Gottwald Rubber-tired Portal Harbor Crane has a sufficiently generous portal to allow traffic to pass under it. 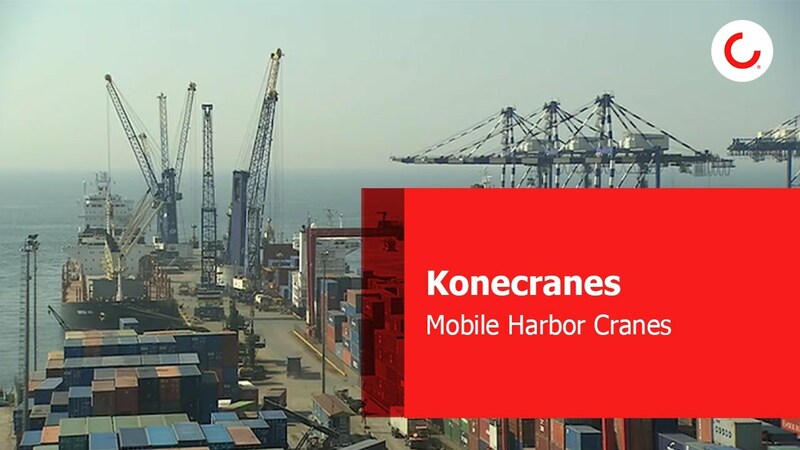 Konecranes offers a variety of used Mobile Harbor Cranes. Welcome to the Konecranes world of lifting with Valtteri Bottas. POWER MEETS CONTROL. THAT'S PERFORMANCE. Kronecranes Gottwald Mobile Harbor Cranes provide versatile and economical handling of all kinds of cargo, serving vessels of all types and sizes in every type of terminal.